In this foundation program, students will learn how to gather resources, craft supplies, and make tools for the Minecraft world. Using Immersive Learning, they replicate real-world scenarios developing Spatial Visualisation while enhancing Math skills and Team collaboration. This learning tool provides our students an interactive environment. We replicate possible scenarios to teach a variety of particular skills techniques in a range of controlled worlds. We create an excellent opportunity for students to work on 3D Math concepts and Visual Arts during our sessions. Besides, Pixel Art is used to getting our students engaged while having most of the fun. We promote a rich environment for our students interact as a team, following our existing lesson plans on pixel art, with grid paper to plan their work, and even a brand new world as a blank canvas for students to engage in creative expression for their teams. Minecraft is a global phenomenon. Your World, Your Creation harnesses Minecraft’s educational power and transforms it into a fun, challenging and engaging learning experience. Due to Minecraft’s flexible platform, students can freely learn the structure of gathering resources, crafting supplies, and making tools for the Minecraft world with no limitations. Using Immersive Learning, students replicate real-world scenarios all while developing spatial visualization and enhancing math skills and team collaboration. This program focuses on encouraging students to be creative and to develop and present structures they are interested in, allowing their imagination to run free. This challenges students to think critically and learn to problem solve. Furthermore, students will benefit from socializing and interacting with each other, learning real world skills such as how to communicate with other classmates. When it comes to Your World, Your Creation the sky’s the limit! 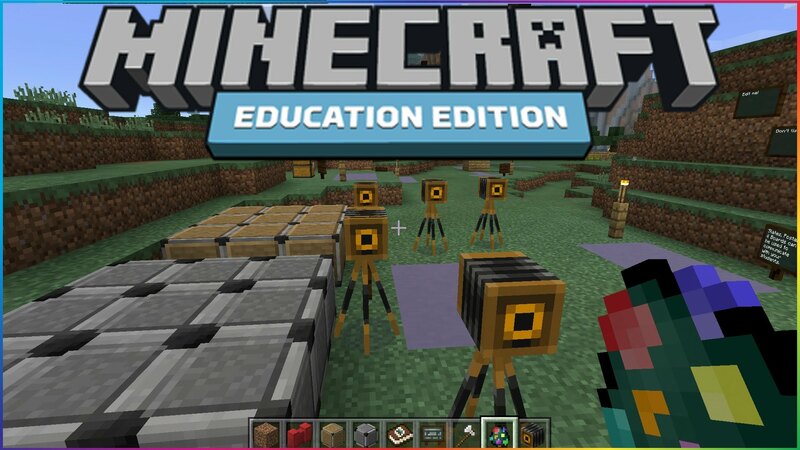 The Your World, Your Creation: Educational Minecraft is suggested for students in grades 2 – 5.